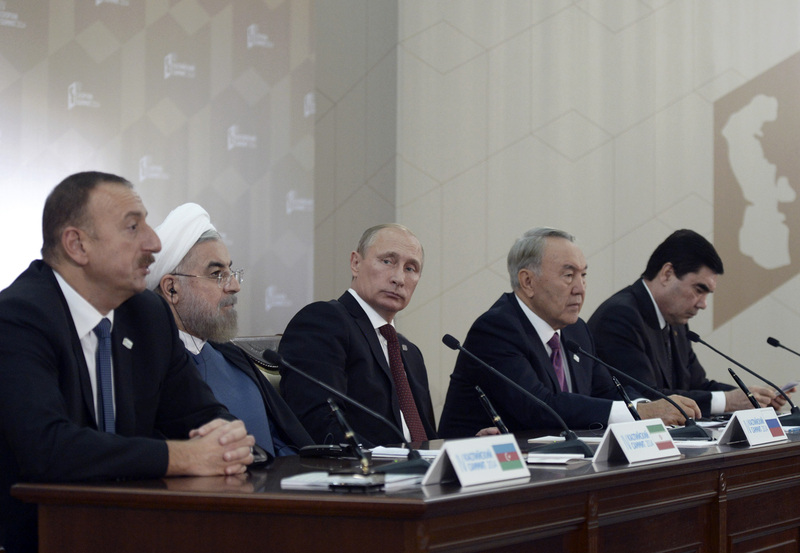 Today, leaders of the five countries bordering the Caspian Sea will meet in Aktau, Kazakhstan, where they are expected to ratify a resolution formally dividing the oil-rich body of water. Such an agreement has eluded Azerbaijan, Iran, Kazakhstan, Russia and Turkmenistan for nearly thirty years, largely due to the Caspian’s official classification. If formally called a lake, international law would give each adjacent state a fifth of its waters. However, classifying it as a sea would distribute its resources based proportionately on owned coastland. Iran would receive rights to only 14% of the Caspian’s resources under the latter and thus has historically blocked such a deal. However, the current draft strikes a compromise, qualifying the surface as a lake and the soil beneath as a sea. Additionally, it allows for Turkmenistan’s long-delayed undersea pipeline to Europe, a clause Russia has often objected. Moscow likely pivot in an effort to maintain positive relations with former Soviet states and boost regional economic stability. The ground-breaking accord provides several opportunities to work together and blocks any military presence from non-signatory actors (such as NATO). Thus, following the signing, expect enhanced regional cooperation ranging from defence to resource extraction.